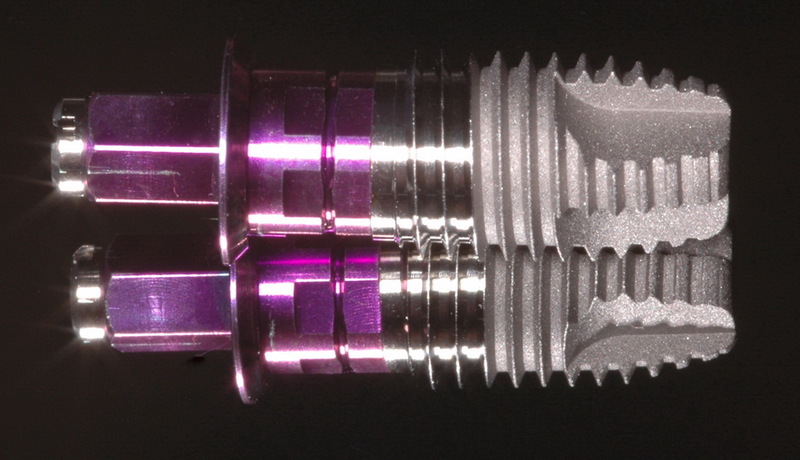 We are implantologist surgeon since 20 years,using external hexagone implants Branemark’s type. With time we’re begining to have complications, even if it’s not often, we must solve the problems.Mains complications in Implantology are peri-implantitis and bone loss.Those complications may involved the implants traitement , such as implant fracture. 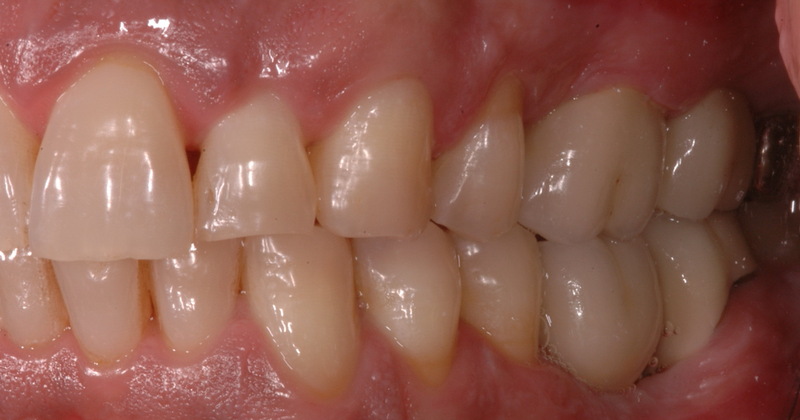 In this clinical case problems are present. The patient call the office complaining about an moving implant crown.Our first thought was about an unscrewed prothesis.When taking out the crown we noted an implant fracture.The raison was peri-implantitis, leading to an important bone loss.When the bone level is beneath the prosthesis screw some important force applied on the implant end leading to fracture.In this case it is exactly what happened,all the more that the implant was a diameter 4mm/l7mm on first lower molar giving us an unfavorable ratio implant crown. We must go slightly over the lenght of the removed implant and screw a fixture holder on the remaining implant part,making circular movement with the fixture holder until the small osseous connection breaks.Then it’s easy to place a 6mm implant in the all ready prepared bur hole. This operation is facilited by this Keystone Dental implant Restore design.The implant apical part is narrow and self tapered that’s gives you an easy insertion in the 5 mm bur hole and also an osseous codensation action due to this implant thread design. As we see on the after surgery x ray we have a gap in apical place depending on the cylinder trepan shape.The gap will disappeared during osteo-integration. 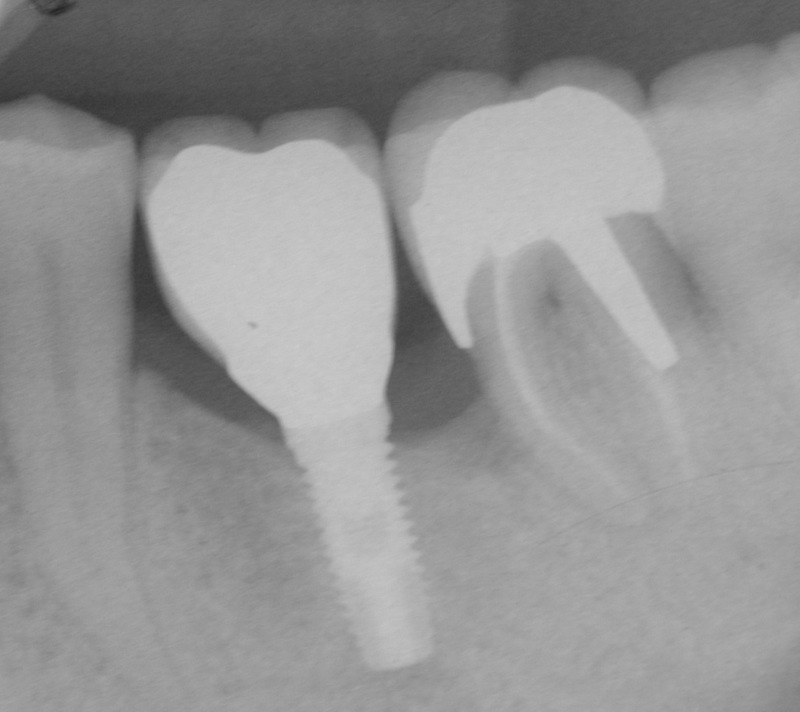 .Self-tapered implant: easy to introduce in the bone preparation and good primary stability. .The apical treated surface lead to better osteo-integration. 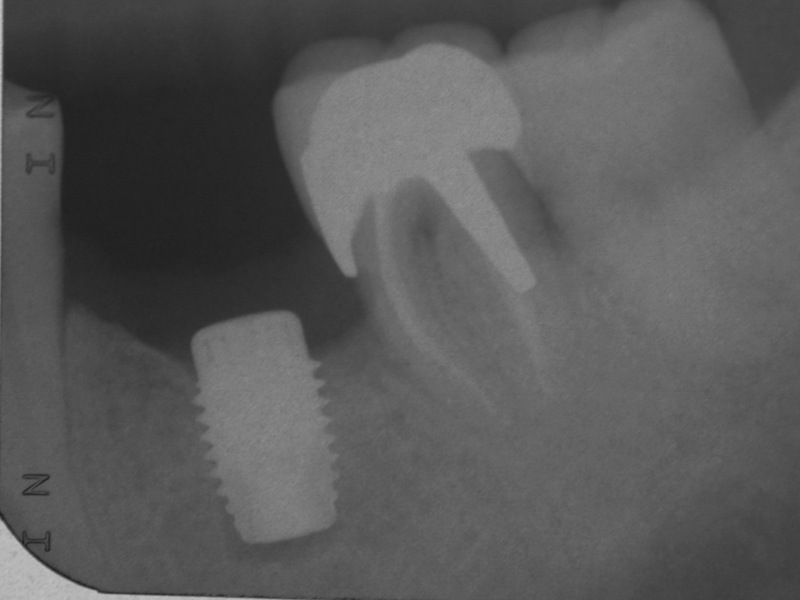 .The implant coronal surface is titanium without treatement reducing but not cancelling the peri-implantatis risk. .The higher coronal shape facilited the switching platform effect. 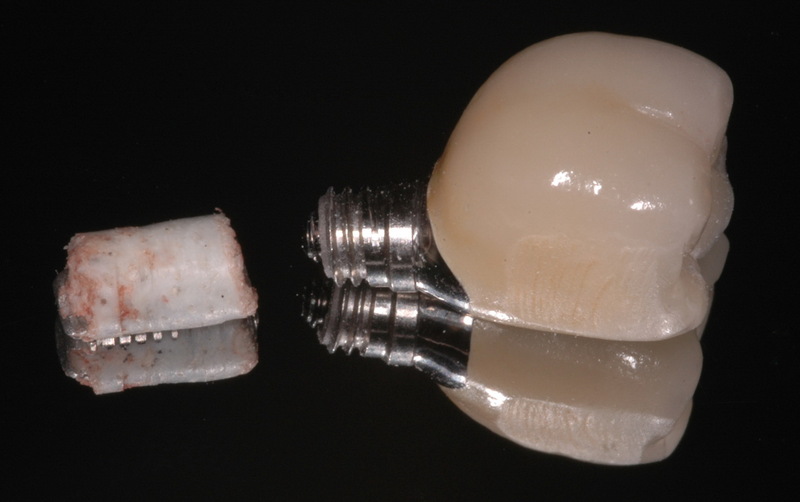 .From a prosthetic point of view the hexagone height ,heighter than the same type implant lead to a better resistance to lateral forces on the prosthesis. 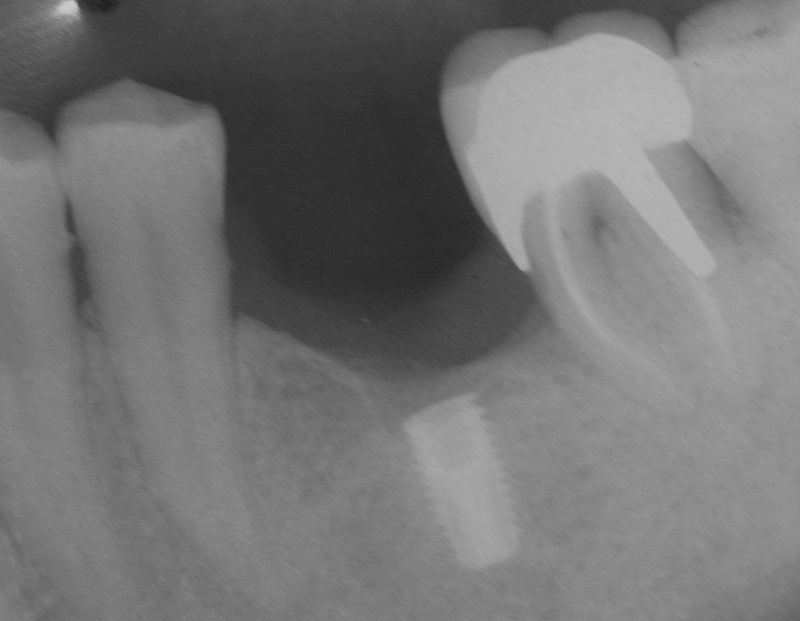 All the advantages of this 6mm Keystone Dental implant Restore may let us think that if we have used it at the begining will have prevented us from all these complications never since forgetting that the maintenance of such cases is essential for reducing or even eliminate the peri-implantitis risk.